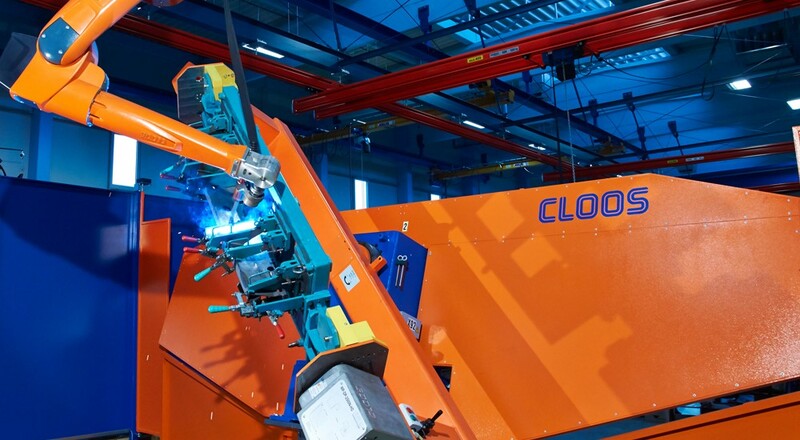 Modern harvesting machines are very complex units which allow to carry out many steps of the harvesting process in a confined space. Agrostoj is one of the most important suppliers for agricultural machinery manufacturers. To ensure highest reliability the individual components must be perfectly constructed regarding functionality, robustness and weight. 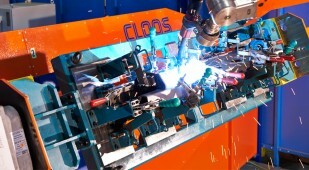 A welding robot mounted overhead on a C-frame welds different medium-sized thin plate components. 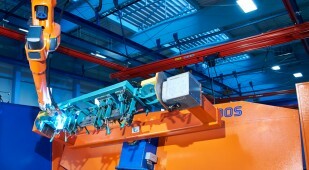 The robot system is equipped with a double-station positioner which changes the station with a horizontal rotary axis. 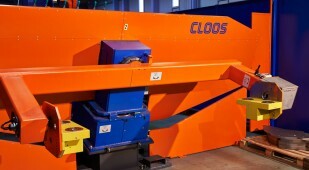 Each of the two stations is equipped with a turn/tilt positioner with counter bearing. 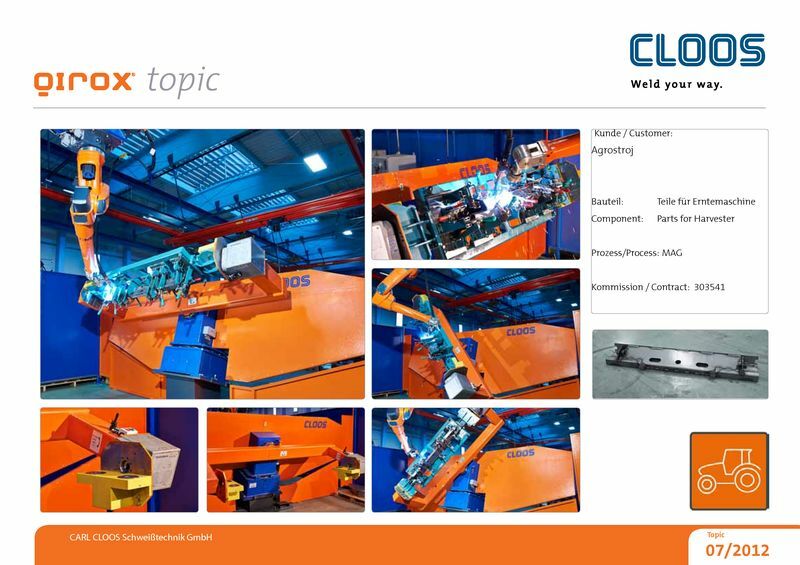 Due to the arrangement of the turn/tilt axes even complex workpieces can be perfectly positioned for welding. Thus positions which are difficult to access can be reached and an optimum weld quality is achieved. The stations have quick clamping systems so that the working stations can be retrofitted to another workpiece within a few minutes. 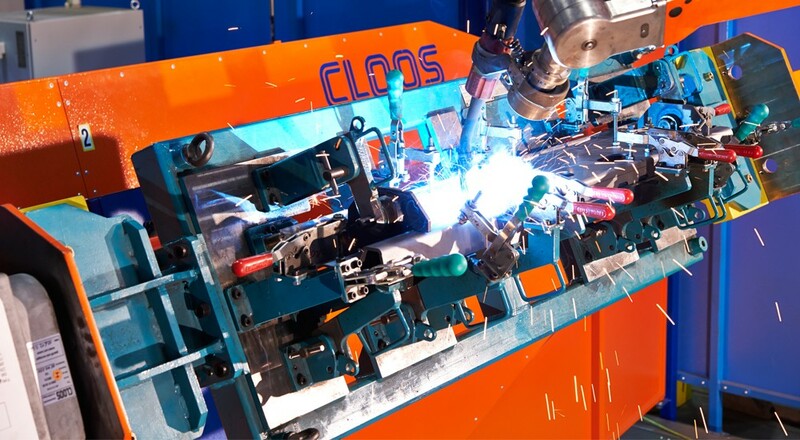 Thus retrofit times are reduced to a minimum and the efficiency of the robot system is guaranteed also in the case of frequent retrofits.